It's hard to believe the new year is almost upon us! Every year, I set a Reading Challenge for myself through GoodReads. After beating my goal in 2013 of 25 books, I decided to up the ante and commit to reading 30 books in 2014. Not only did I meet my goal this year, but I exceeded it like crazy! Currently, I've finished 45 books with hopes of finishing at least one more before the year is out. Every once in awhile I need to read a book that convicts me and causes me to do some serious self-reflection. 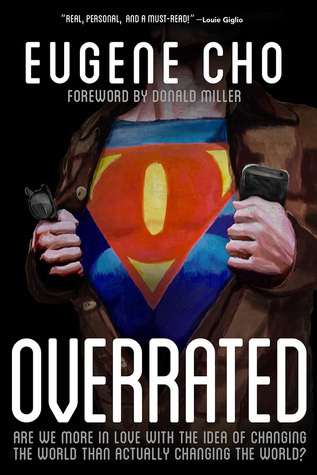 This book about growing up in an "overrated" generation was exactly what I needed to examine my heart and evaluate my good intentions for saving the world. I would highly recommend it to anyone wanting to be challenged to grow in their faith. [My review here]. 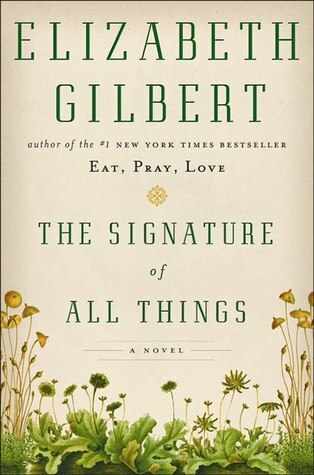 I know not everyone is in love with Elizabeth Gilbert as I am, and to those people I say, you are wrong. She is such a fantastic writer and this story set in the 18th and 19th centuries follows the Whittaker family as they take the world of botany by storm. If that sounds like a recipe for an extremely boring book, I don't blame you. I didn't think botany could be very interesting either, but trust me when I say, Gilbert's writing will keep you enthralled. 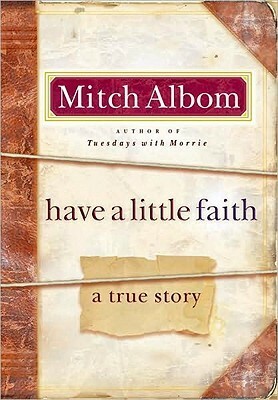 This book, written by the same author of Tuesdays with Morrie, was a memoir of sorts as a man is asked to write the obituary for his rabbi. Having strayed from his synagogue and not being very close to the rabbi, the request throws him off a bit. But over the course of the next 8 years, Albom and his rabbi form an extremely close bond and it shapes the way he looks at his faith. This is a quick, light-hearted read. Perfect for those days when you need your faith in humanity restored. For those who don't know, Ina May Gaskin is kind of a celebrity in the natural parenting world. 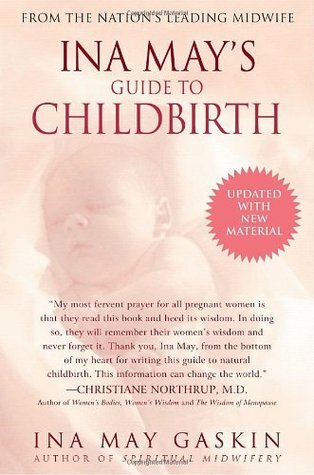 This book introduces concepts surrounding midwifery and natural childbirth in a fascinating and un-overwhelming manner. If you are pregnant or plan to become pregnant, this is a must-read. It is a wealth of information and helped me to feel so much more informed and empowered about the birthing process. It helped me to know what I did and didn't want out of my birth experience and what questions to ask my midwife. All in all, a five star read! Some of you may not know this about me, but I love food. I mean, for goodness sakes', I went to grad school for food. I also love the role food plays in fellowship, the way food can signify caring and love. 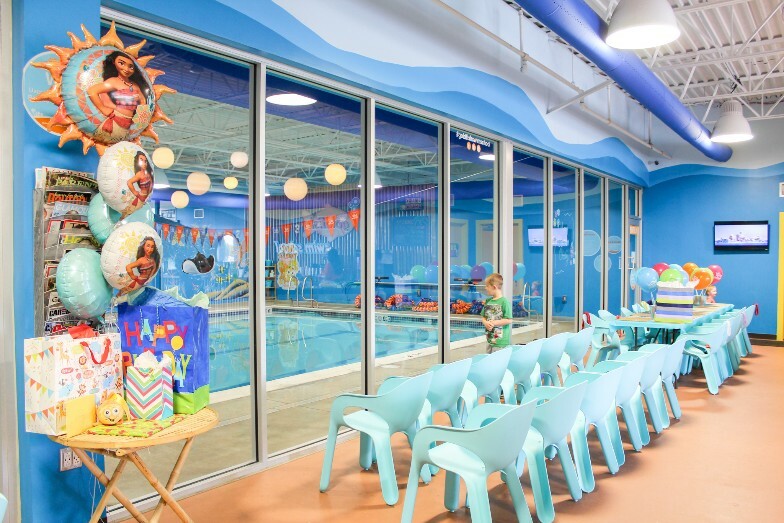 The way it can symbolize celebration or grieving. 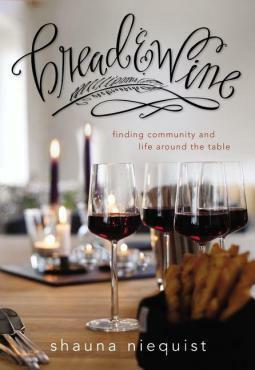 Basically, Shauna and I are very much on the same page and this book is her testament to "life around the table." If you are looking to be uplifted and inspired, as well as getting some baller recipes, this is an awesome read. 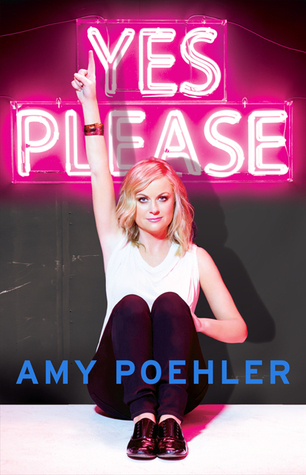 I mean, honestly, who doesn't love Amy Poehler? I knew it was a guarantee that I would like this book because, duh. But guys, I loved this book. It was so funny, clever and well-written. I can't say enough good things about it! Rainbow Rowell quickly became one of my favorite authors in 2014. I had a difficult time deciding between my two favorite reads of hers, but I think I made the right choice. Basically, I love Rowell's YA stuff and I loved the protagonist in this book. 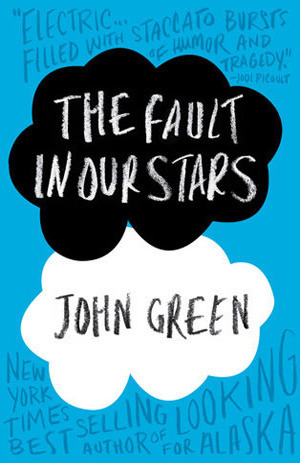 While the book was centered around a teen romance, it was anything but cliche. I loved that Cath (the main character) was an introvert who would rather spend her college days writing fan fiction than out partying late into the evening. Not only that, but I loved the role Cath's family played in her story. Another amazing Rowell read. This is another totally non-cliche teen romance where I felt particularly invested in the story. Not to give anything away, but abuse does play a role in this story of love between two night-and-day different teenagers and having some experience in that arena, I was totally impressed with how Rowell handled such a sensitive topic. You should absolutely read this book. If you haven't heard of this book-turned-movie, you've clearly been living under a rock. 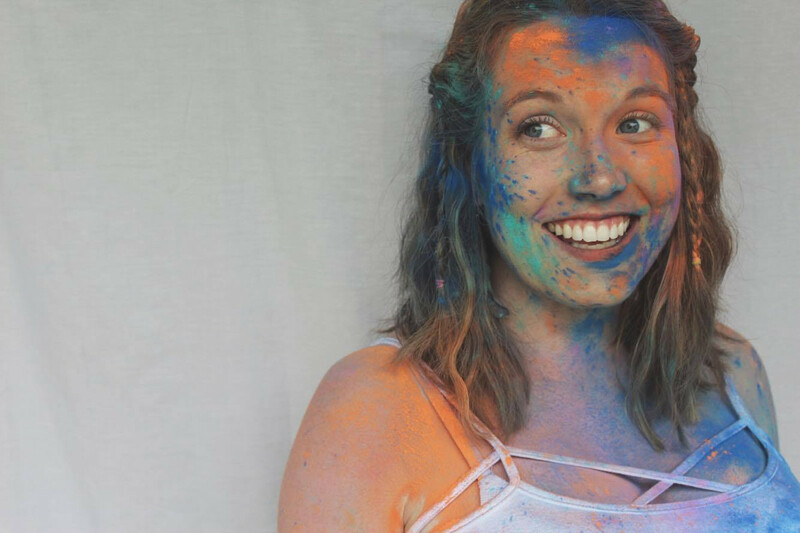 This love story between two terminally ill teenagers is amazing. You will cry. A lot. But it is so, so worth it. This book was recommended to me by a friend, so I put it on my "to-read shelf" where it patiently waited for me to get around to it. I can't believe I put it off as long as I did, because this is one of the best books I've ever read. The character development is truly divine and the twist at the end will stun and captivate you. If you read nothing else on this list, please read this one. 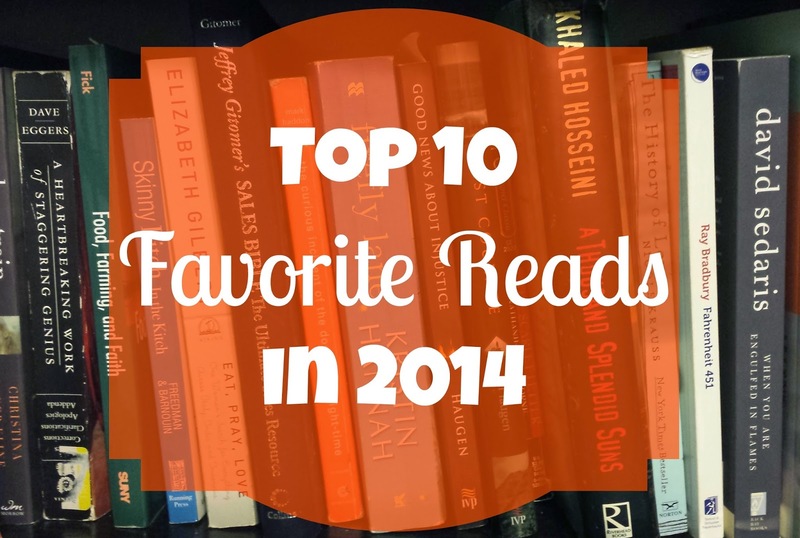 Do you have any recommendations for my 2015 Reading Challenge? I love that you exceeded your goal! I have to be the only blogger not including The Signature of All Things on my favorites of 2014. Honestly, I hated it. I did finish it. I don't read a lot of non-fiction, but your reviews are swaying me to put them on my to-read list! 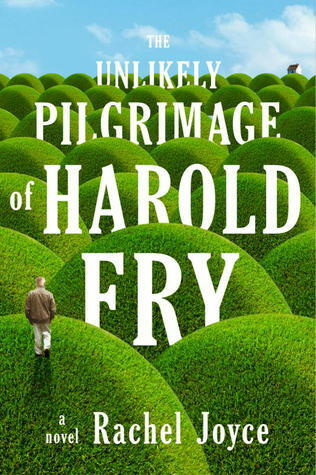 Also, I will definitely have to read The Unlikely Pilgrimage of Harold Fry. Character development is so important, and I love a good twist! You should probably sleep as much as possible during 2015 ;) If you aren't sleeping, feeding the baby, playing with the baby, or generally exhausted, I would recommend The Rosie Project and The Rosie Effect! One reviewer said "Fast and fun, but not dumb," and I couldn't agree more. (I'm like 70% through with The Rosie Effect--you should apply for Netgalley! They get some good books that you can read/review before publication). I have added The Unlikely Pilgrimmage of Harold Fry to my "must read" list because of your recommendations (and then the reviews I read on goodreads). 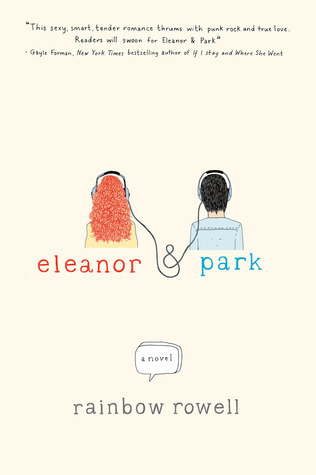 Eleanor & Park was a favorite of mine as well. I adore those two characters. 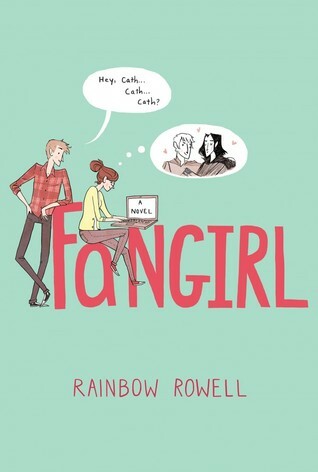 Fangirl is the only RR book I haven't read yet, but I'll get to it. I love getting new book recommendations so I'll definitely be adding some of these to my to read section on Good reads!!! I was a huge fan of Bread and Wine too and the recipes in it are great too! !